TUI Discovery 2 has recently completed its major refurbishment after formerly being known as Legend of the Seas for Royal Caribbean. The vessel received the Thomson look with a new livery enhancements and features to cater for the British market. 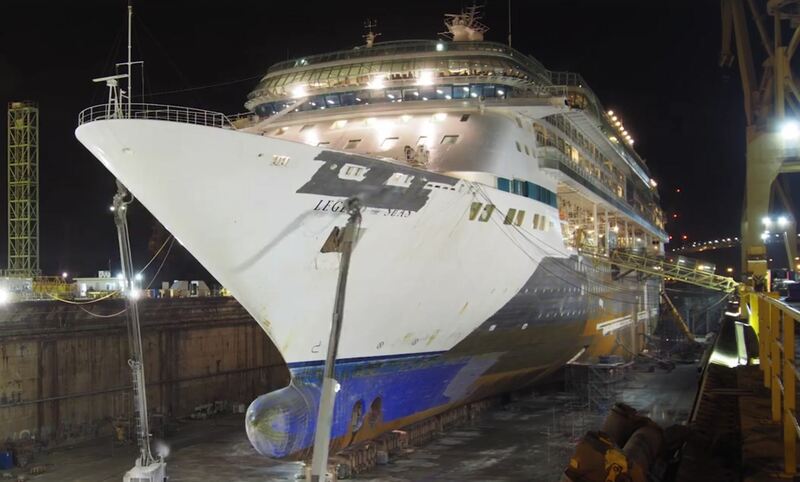 The cruise line posted stunning views as the ship was transformed from Legend of the Seas to TUI Discovery 2. The footage starts from the very early stages all the way until setting off in anticipation for the newly renovated ships maiden voyage out of Malaga, Spain on May 12. The vessel is identical to TUI Discovery 1 which was also from Royal Caribbean and previously known as Splendour of the Seas. TUI Discovery 2 is a 69,100 gross ton vessel and can carry 1,832 guests in a total of 915 cabins. You can read all about the ship on a previous post we did during its dry dock.